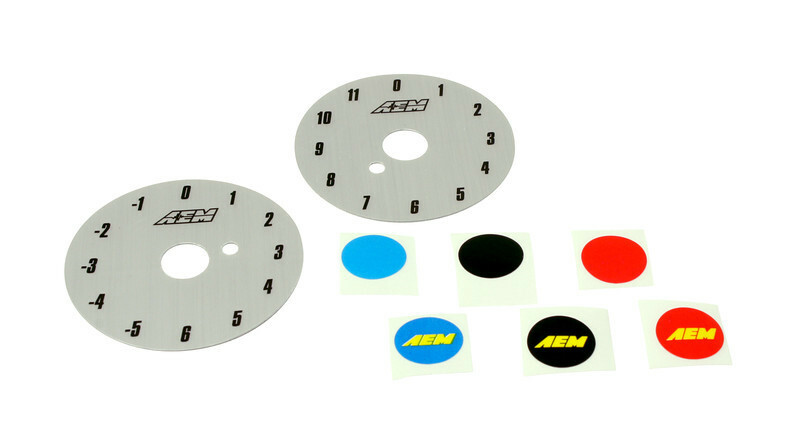 AEM Performance Electronics' Universal 12-Position Trim Pot(Part #30-2056) can be used to adjust a number of trims including ignition timing, fuel, boost and more! 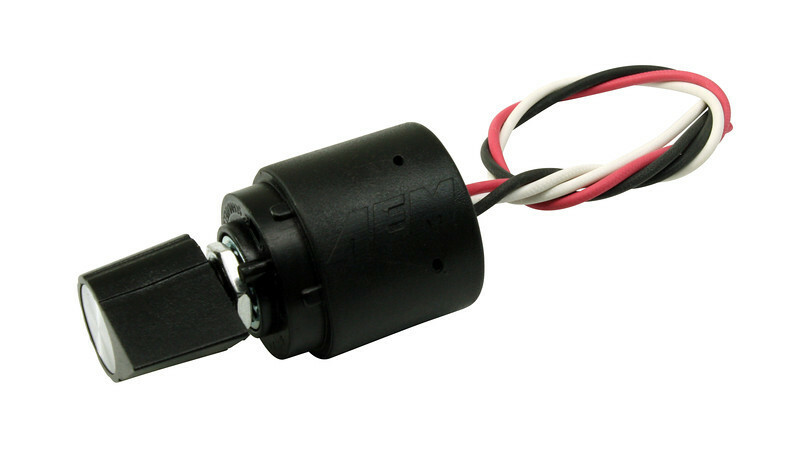 It can also be used with virtually any programmable engine management system. The Universal 12-Position Trim Pot includes a weatherproof-over-molded flying lead that has 12-inch insulated, color-coded wires, two brushed silver Trim Position decals (-5 to +6 and 0 to +11 ranges), and black AEM logo adjustment knob. Please visit www.aemelectronics.com or call (310) 484-2322 for more information or to find an Authorized AEM Electronics dealer or Factory-Trained tuner. 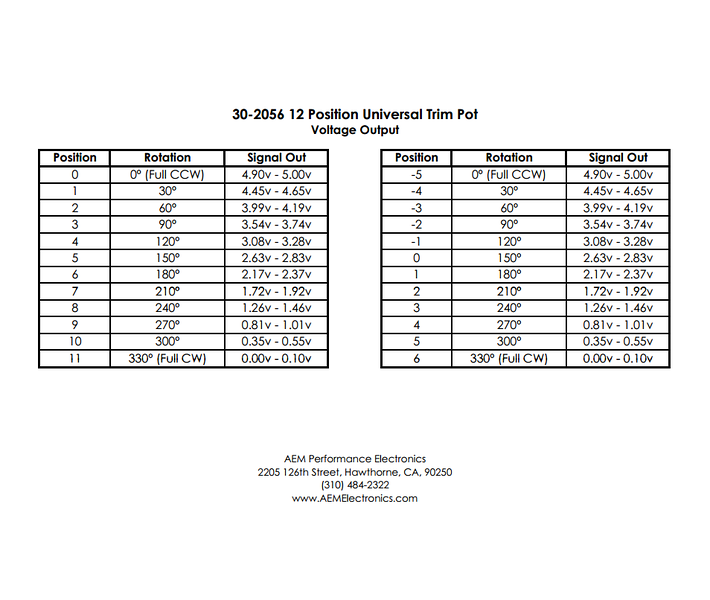 Advanced Engine Management’s performance electronics are Engineered to Outperform. The company designs, manufactures and assembles engine management systems, wideband air/fuel systems, data loggers, water/methanol injection systems, on-vehicle dyno systems, performance gauges, boost controllers, ignition components, fuel delivery components and adjustable cam gears at its corporate headquarters in Hawthorne, CA.